ABERDEEN PROVING GROUND, Md. (Aug. 24, 2018) — Scientists at the U.S. Army Research Laboratory and the Johns Hopkins University Applied Physics Laboratory have developed software to ensure that if a robot falls, it can get itself back up, meaning future military robots will be less reliant on their Soldier handlers. "The analysis I've been working on looks at all possible geometries and orientations that the robot could find itself in," Kessens said. "The problem is that each additional joint adds a dimension to the search space–so it is important to look in the right places for stable states and transitions. Otherwise, the search could take too long." Kessens said Mullins' work is what allowed the analysis to work efficiently for analyzing higher degree of freedom systems. While Kessens' work determines what to look for and how, Mullins figures out where to look." Ultimately, the team was able to evaluate the AEODRS systems' eight degrees of freedom and determined it can right itself on level ground no matter what initial state it finds itself in. The analysis also generates motion plans showing how the robot can reorient itself. 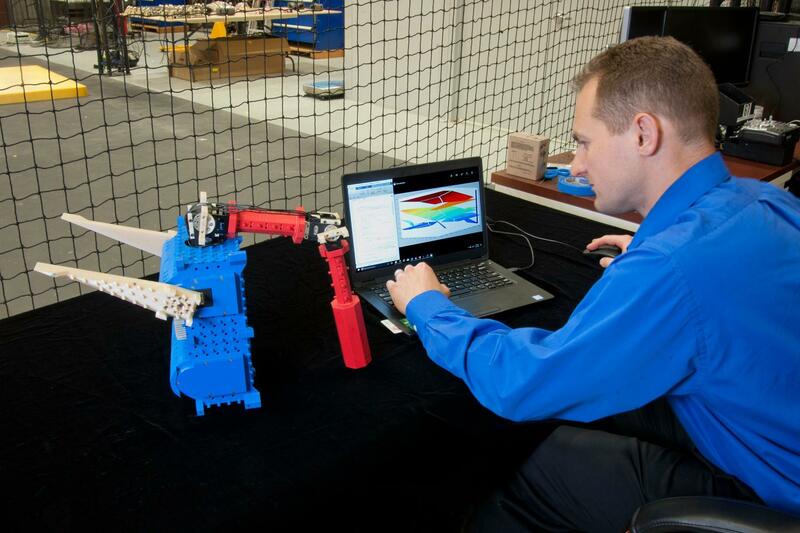 The team's findings can be found in "Evaluating Robot Self-Righting Capabilities using Adaptive Sampling," published in IEEE's Robotics and Automation Letters in August.